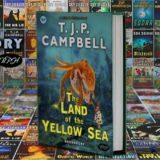 Author’s comment: I am very happy to have completed another novel in my growing list of sci-fi titles. 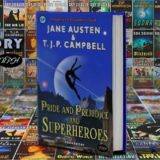 Pride and Prejudice and Superheroes is a one-off novel and not part of a series. 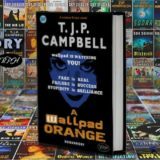 It will be available for sale online and in major book stores some time in 2016 (currently through the Bookanory Publishing House imprint). However, it is true that I am considering a classics sci-fi mashups trilogy with this novel being the first. I have an idea for a Wuthering Heights (Emily Bronte) sci-fi mashup, and an Oliver Twist (Charles Dickens) sci-fi mashup. 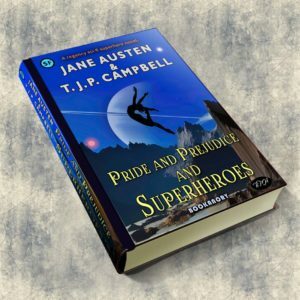 Pride and Prejudice and Superheroes is a completed 114,300 word novel. Fully edited. The story will become more and more original as it diverges quickly from the original work of Jane Austen, though her work is an important element of the novel’s Regency Period authenticity. 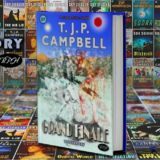 So we have here, a sci-fi Regency superhero novel combining the two styles of Jane Austen and myself to deliver a story full of romantic and yet adventurous sci-fi elements. 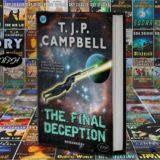 If you imagine the cast of Pride and Prejudice in a Star Trek adventure, you might expect something like this novel. The story opens in the paraphrasing and juxtipositioning of the original opening paragraph of the Pride and Prejudice novel (see teaser below). I did this as a tribute to one of the greatest novelists that ever lived. Significantly dramatic changes occur from the original Austen text after the opening chapters with some Jane Austen inclusion where possible to a lesser and lesser degree as the novel develops. 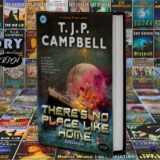 This novel is hopefully something immensely enjoyable and worth reading for readers who love reading, love sci-fi and love the English language in all its sophisticated glory. In short, there’s plenty of pride and prejudice AND all the main characters have skills and abilities on the superhero level. How did they acquire them? What exactly are they? Only reading will reveal. And throughout the superhero shenanigans, Mrs Bennet is attempting to win what she calls the War of Marriage. All she wants, is for at least one of her daughters to get married so that the Bennet family are not solely dependent on their father who on his death will lose their estate to the legal heir, Mr William Collins. Jane Austen was a bit bereft of marrying dialogue to scene even if she wasn’t in marrying males and females. 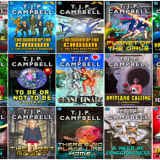 I aim to deliver a full-bodied novel with some of her influence and ideas as a staring foundation to my superhero sci-fi love story. I think you’ll see from my first chapter that this is not fan fiction, so to speak. This is the first book cover where I have not had my name at the top of the book cover in large plain-ish lettering; because I had to share it with Jane Austen (it seems almost sacrilege to put my name with hers, but I’ll try hard to earn the pairing. It’s exactly what was done on Pride and Prejudice and Zombies, after all. It’s a legal requirement. Remember this kind of “sacrilege ” can only be done with dead authors in the international public domain. It is a truth universally acknowledged, that a single woman in possession of a free mind, must be in want of a superhero. However little known the feelings or views of such a woman may be on her first scouring the neighbourhood, this truth is so well established in the minds of the surrounding families, that she is considered as someone on a fruitless errand of some one or other of their sons. The Bennet family, beneficiaries of the landed gentry of the British Regency, lived in the ample Longbourn House estate in the village of Longbourn in Hertfordshire. It was a busy, if somewhat confusing, family home, with Mr Bennet and his servants keeping a modicum of orderliness over his five multifarious daughters, and over his, according to himself and anyone who knew her behind her fan, stupid, narrow-minded and shallow wife. At times, Mr Bennet thought that the mental state of King George III, who was believed to be permanently insane, had somehow infected his estate. And, he understood well that the cost of a marriage could not be measured in purely financial terms, especially as his marriage had conspired not to deliver a son. If only there had been a son, just a single solitary son, the Bennets would have been able to inherit the Bennet estate. However, most unfortunate as it is, it is the cousin of Mr Bennet, one Mr William Collins, who stood to inherit the estate on Mr Bennet’s death. More unfortunate is that Mr Collins is thought by all but himself to be a mixture of pride and obsequiousness, self-importance and humility. An undesirable mix at that, and one where the whole was less than the sum of the parts. 34 WHAT WOULD YOU HAVE SAID? 61 A BRIDGE TOO FAR! Pride and Prejudice and Superheroes (114,300). 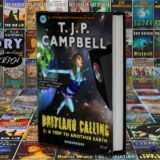 Britland Calling; Book 1: A Trip To Another Earth (40,100). 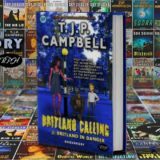 Britland Calling: Book 2: Britland in Danger (42,300). 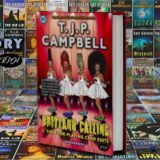 Britland Calling: Book 3: The Four Playing Card Suits (47,300). 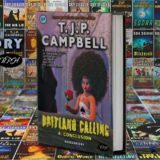 Britland Calling: Book 4: Conclusion (46,700). 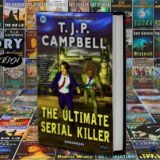 The Case of the Ultimate Serial Killer (56,250). 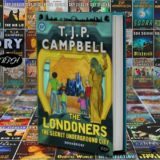 The Londoners: The Secret Underground City (47,300). 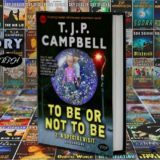 To Be Or Not To Be Book 1: A Special Visitor (45,000). 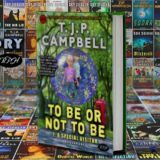 To Be Or Not To Be Book 2: A Special Visit (43,500). 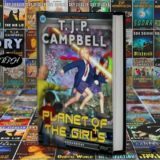 Planet of the Girls (37,000). 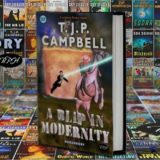 A Blip in Modernity (22,500). There’s No Place like Home (30,000). 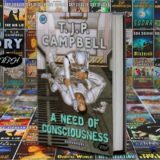 The Need of Consciousness (8,000). 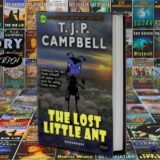 The Lost Little Ant (6,400). 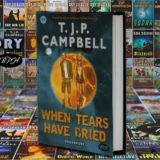 When Tears Have Dried (7,900). Doctor Who: THE DALEK OBSESSION (TV one hour 2,000). Doctor Who: DALEK MESSIAH (TV Film 90 minutes 4,140). THE GATHERERS: Finders, Keepers. (Pilot of series, Full Feature Film 12,000).